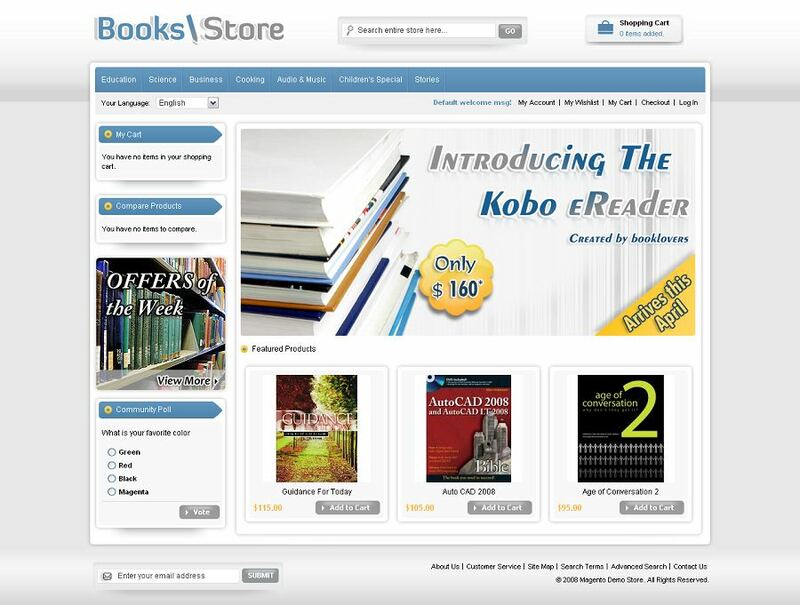 Book Store Magento Template is another magento design for books store , cd/dvd store. It’s beautiful banners on home page are looking great. All sub pages are customized. It is very nice with its clean and professional look.